At AM Coffee Service, we are obsessed with serving our customers! AM Coffee Service has led the local coffee service industry by offering equipment cleaning, delivery, and equipment repair and replacement services - all in one business! 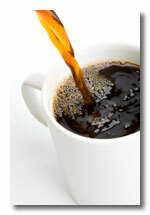 We offer a complete line of coffees and teas for your business or fine restaurant. For 30 years, AM Coffee Service has offered a wide variety of high quality coffees and teas. It�s no wonder when you mention AM Coffee Service, people know the name. We know about taking care of our customer at AM Coffee. Service with a smile and letting you know that we have made a service call is what a coffee service should be. Call (318) 688-2333 or contact us for a free quote on Coffee Service for your business. A vehicle accident at the corner took out the entire AT&T network phone box. Our business line has been down since Thursday and we hope it will be repaired soon. Please call our cell number at (318)560-4355 until such time that AT&T can fix our business phone service. Thanks. Ernest's Orleans Restaurant & Cocktail Lounge, Inc.
Ladies and Gentlemen, I can remember the words of my old Dad saying this ... "There are two things that make a good restaurant... Bread and Coffee... The Bread we serve here is made specially by longtime family friend and baker Mr. J.C. Priest, and we are proud to use it. And we now have brought back the famour New Orleans French Market Coffee, provided by the great people at A.M. COFFEE SERVICE. This rich coffee was served by my Dad in his restaurants for over 50 years, it was formerly known as Alameda. There just is no other like it. So for the millennials as well as the old timers, come by and enjoy the frest brewed taste of French Market Coffee brought to us by A.M. Coffee Service !! You Will Be Satisfied ! AM Coffee Service is now offering Green Mountain K-Cups, many flavors to choose from. Available by the case. Click Here to view some of the many flavors available.